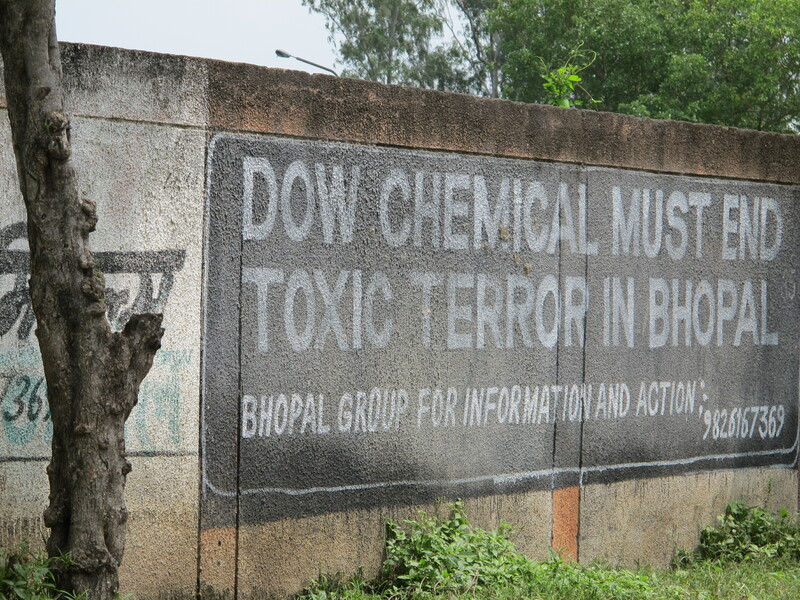 Even as they fought valiantly for justice, survivor groups have been alert to the need to preserve the memories of Bhopal because of the historical significance of the incident and its debilitating aftermath. In 1985, survivors, activists and a Dutch sculptor Ruth Waterman came together to build the first public memorial right outside the Union Carbide factory. Waterman is a Holocaust survivor. The vivid memories of the traumatic night of the disaster recounted by the survivors shaped the design of the sculpture, and the survivors also helped in building it. 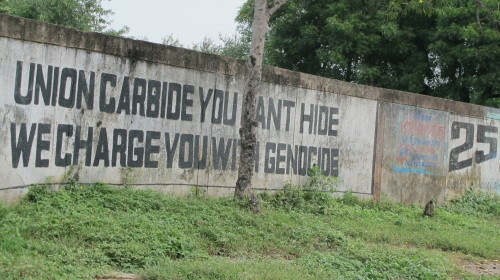 The statue carries the message: No More Bhopal, No More Hiroshima. 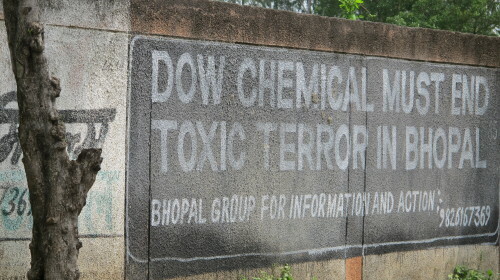 The first public museum on Bhopal disaster set up in 2004, to mark the 20th anniversary of the gas leak. 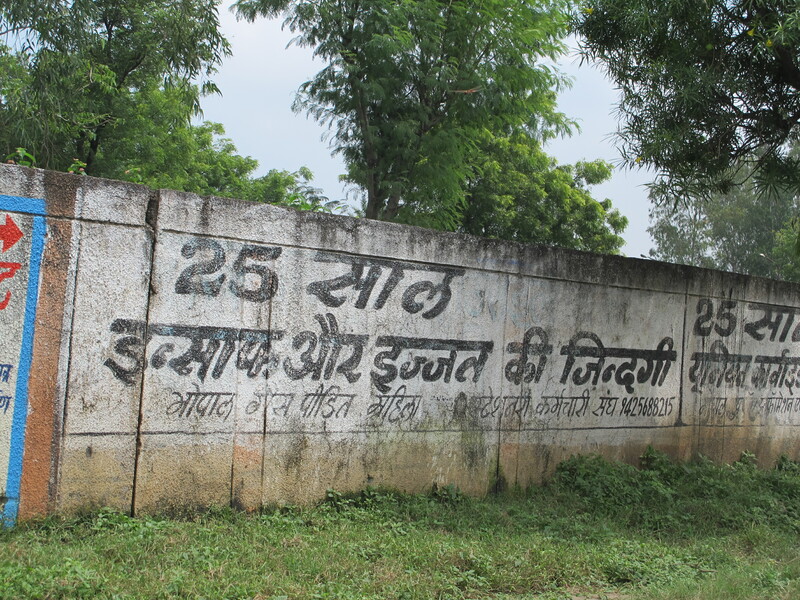 The museum was established and maintained for over four years by the survivor groups that are part of International Campaign for Justice in Bhopal (ICJB). It was the first effort at collecting survivors’ artifacts.Portraits of victims and their artifacts were placed on a large, rectangular table in a room – a somber display aimed at paying a quiet homage to the victims. Dr. Satpathy had led the forensic team at the Hamidia Hospital. He preserved the pictures of the dead and aborted foetuses as testimony to the horrific scenes that unfolded within hours of the gas leak. Over years the factory wall has transformed into survivors’ own blackboard. 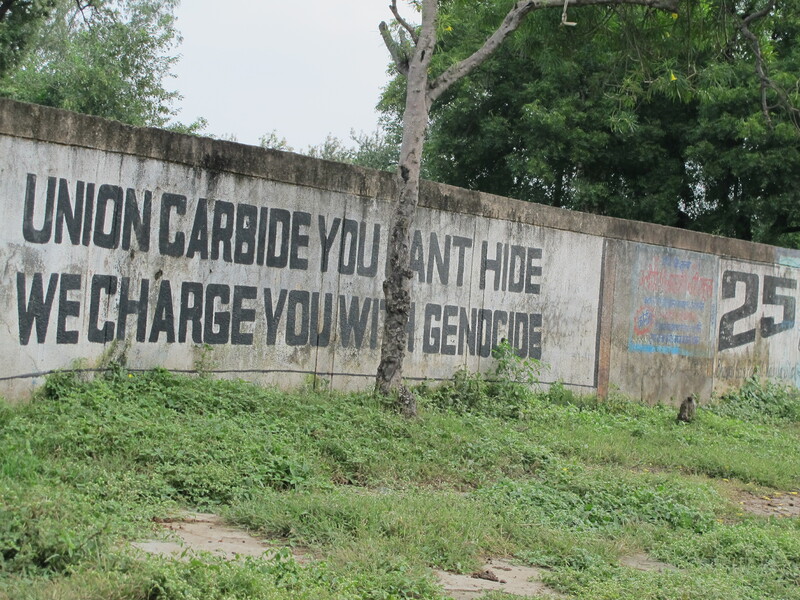 The protest graffiti on the wall reflects the contemporary and most pressing issues confronting the survivors. 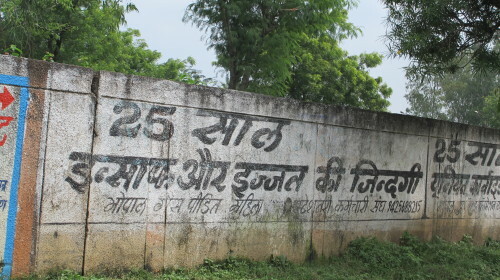 The Remember Bhopal Museum is the next step in asserting survivors’ moral right to their memories.